The man lives, quite literally, in a building serviced by a golden elevator. Somehow, he presented himself as the scourge of the elites. For decades, he built a persona based on the most conspicuous consumption and the crassest of excess - and then he won the presidency on an antiestablishment ticket. The unlikely rise of Donald J Trump exemplifies the political paradox of the twenty-first century. In this new Gilded Age, the contrast between the haves and the have-nots could not be starker. The world’s eight richest billionaires control as much wealth as the poorest half of the planet - a disparity of wealth and political power unknown in any previous period. 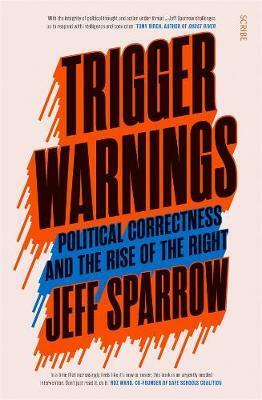 Yet not only have progressives failed to make gains in circumstances that should, on paper, favour egalitarianism and social justice, the angry populism that’s prospered explicitly targets ideas associated with the left - and none more so than so-called ‘political correctness’. If Trump - and others like Trump - can turn hostility to PC into a winning slogan, how should the left respond? In the face of a vicious new bigotry, should progressives double-down on identity politics and gender theory? Must they abandon political correctness and everything associated with it to re-connect with a working class they’ve alienated? Or is there, perhaps, another way entirely?